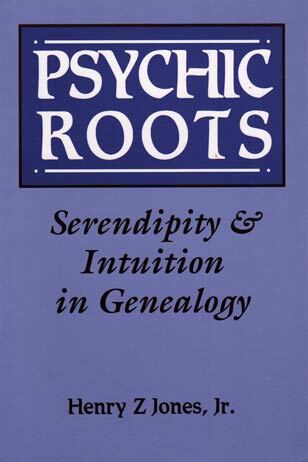 Psychic Roots is all about the influence of coincidence and serendipity on genealogical research, the chance combination of events over which the researcher has no control but which nevertheless guides him to a fortuitous discovery. Certainly chance or dumb luck sometimes leads us straight to a record kept in an improbable place, to an ancestor's second wife we didn't know anything about, and so on. Is it luck? Coincidence? In this book, esteemed genealogist Hank Jones tells us about his own brushes with preternatural experiences, and he has invited other genealogists to share their experiences as well; thus in these pages we have the insights of well over a hundred respected ancestor hunters who discuss their experiences in light of synchronicity, intuition, genetic memory, and serendipity. Their stories fairly crackle with illumination and make a plausible case for the importance of the sixth sense in genealogical research.